Over the last 2 years, Jay Jay has booked co-star roles on NBC, CBS, and IFC as well as many short films. 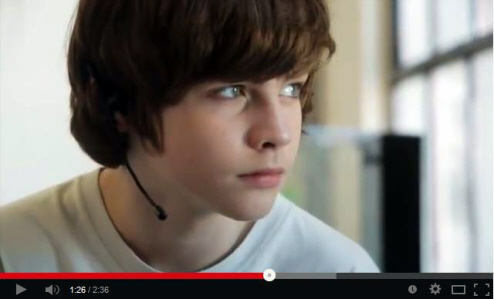 He has also booked 13 national and regional commercials. You can see his impressive resume here. 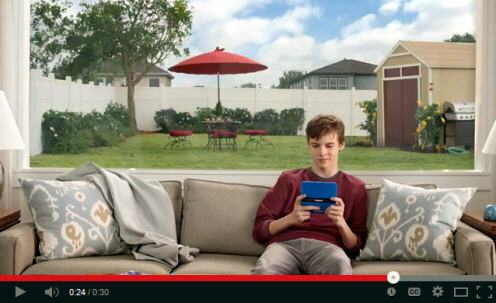 His most recent commercial was the nationally run Nintendo commercial. Jay Jay also acted in his very first theatre performance last year, May 2013. 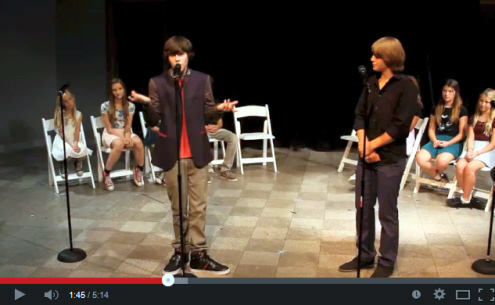 He played Brett in the off Broadway production of “13 The Musical” produced by the wonderful Tricia Small and Liz Sarnoff (Executive Producers and writers at Fox) and directed by the very talented Sergine Dumais. While Jay Jay is an extremely profound dancer and actor, Jay Jay was challenged to sing in this performance! This was his first time to do that publicly and definitely something he thought he would never do! I guess you could say he overcame one of his greatest fears…singing in public! This set the stage for him to do a showcase of the music of Stephen Schwartz, called “EXTRAORDINARY” with many of his “13” cast members. Jay Jay has continued to dance professionally over the last two years booking two dance commercials one of them being the (coveted and highly competitive) international Domyos commercial. (Black Swan and husband of Natalie Portman). Another dancing commercial that Jay Jay booked was the HEB commercial. HEB is a chain of grocery stores in Texas. In fact it is the grocery store that their family shopped at all the time when they lived in Texas. They laughed about that fact that HEB came all the way to LA to cast a Texas boy in their commercial. This was an especially fun job because Jay Jay got to work with another famous choreographer, Chuckie Kaplow, who is most famous for his work as choreographer and dancer in all the HS Musical movies. 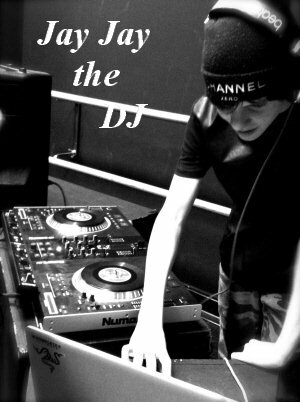 For a little over a year Jay Jay has developed a great passion for DJ’ing and producing. He went through the DJ and producing program at DJ Scratch Academy where he learned the basics and since then has flourished in this space. He DJ’s professionally for any type occasion and even DJ’d a recent underage party that he and his friend organized called “Section 99”. They both organized the entire event and even got Rocket Fizz to sponsor the event. They drew approximately 200 teens to the event. Jay Jay recently has begun to collaborate with other professionals for producing and mixing his own music. Just this past month he has been working in two of the largest studios in the country, (Westlake and NightBird), with mentors and other artists. Hopefully it won’t be long before we begin to hear Jay Jay’s original work in the EDM world. I will keep you posted! Jay Jay loves the arts in all forms and works so hard at perfecting his craft. 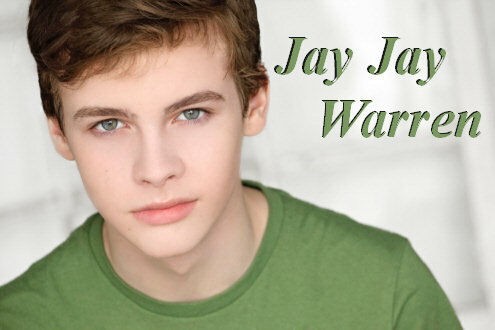 In a world where so many young actors are going astray, Jay Jay continues to have a strong head on his shoulders and remains very humble and grateful for his life and the fact that he has all of these awesome opportunities to pursue what he loves. 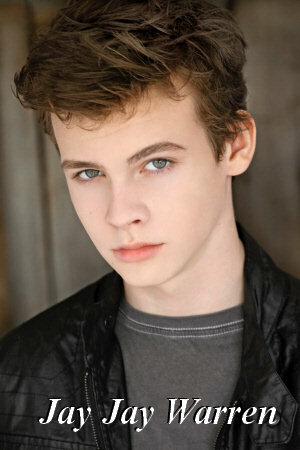 I for one continue to be extremely impressed with this young actor/dancer and now singing performer. I’m not sure what to expect next from Jay Jay Warren but I’m sure it will be Exceptional!